Credit offered on programs when designated. Click to view the Credit Matrix PDF. 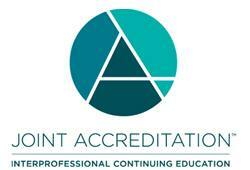 Mayo Clinic Laboratories is approved as a provider of continuing education programs in the clinical laboratory sciences by the ASCLS P.A.C.E.® program. Mayo Clinic Laboratories is approved as a Continuing Education Accrediting Agency for the clinical laboratory sciences for State of California. Mayo Clinic Laboratories is approved as a Continuing Education Accrediting Agency for the clinical laboratory sciences for the State of Florida.